Though we often treat it as such, innovation isn’t a value on its own. True innovation means transforming your business to achieve a valuable outcome. In manufacturing, innovative thinking has led to significant developments such as connected factories and servitization—the strategy of selling services rather than discrete assets. Unsurprisingly, businesses that embrace these opportunities have an obvious competitive edge. Every manufacturer has different questions to answer in order to identify what innovation means to them. Sometimes those questions are tactical, such as “will installing this new technology create a significant disruption to order fulfillment?” Sometimes they’re strategic, as in the case of “How do we expand our business model without weakening the core attributes that make us successful?” Whatever the answers, there are a few common factors every successful innovation strategy shares. First, enable a culture of innovation. Second, use data as a strategic asset to guide priorities and decision-making. Third, build the foundation for future business transformation into your core production processes through IoT and cloud-enabled analytics. The most fundamental factor is facilitating a culture of innovation. This doesn’t mean increasing the number of team-building exercises. It means connecting teams so delays or disruptions don’t spread throughout your entire supply chain and service force. Instead, employees have anywhere-anytime methods for communicating and resolving issues across and within teams, and are poised to contribute thought leadership beyond their role. It also requires establishing and maintaining personalized relationships with customers and viewing them as strategic partners in innovation. Next, innovation must go hand in hand with a strategy for how to best use your data. We’ve reached a point where IT and operational systems are sufficiently mature enough to enable digitization end-to-end, enhancing sales, operations, and service through a common, scalable, and cloud-backed platform. In doing so, manufacturers are poised to use data strategically, shifting the way they manage processes from reactive to proactive. The outcome is consolidated, real-time, and mobile-friendly ways to generate insight for every aspect of a business, letting decision makers understand and adjust at the speed that’s right for them. No matter what objectives a manufacturer has, embedded intelligence and advanced analytics help to achieve them by processing more data and generating more business insight. Finally, investing in a technology foundation now sets you up to embrace future advances. It’s never been easier to connect devices, factories, and resources all over the world thanks to the affordability of scalable cloud storage, analytics, and IoT sensors. 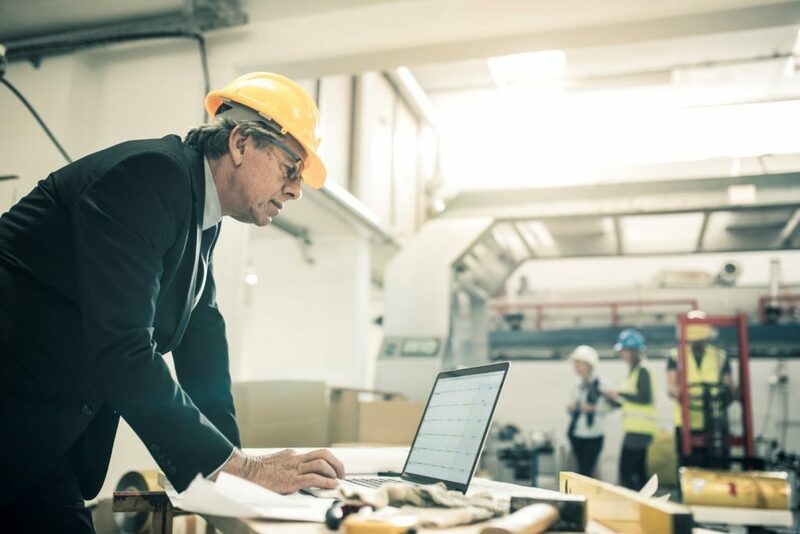 These technologies enable manufacturers to capitalize today: delivering remote monitoring, self-healing capabilities, and predictive maintenance. Looking forward, these investments also serve as a basis for the innovative technology on the horizon. That could mean supporting collaboration through augmented or virtual reality connections between technicians and experts, or integrating smart materials and new engineering advances with existing analytics platforms to create more intelligent, adaptive, and efficient devices. Microsoft Dynamics 365 is designed to help manufacturers find the answers they need in their innovation journey. This is the next generation of intelligent business applications that enable organizations to grow, evolve and transform. By unifying CRM and ERP capabilities seamlessly, Dynamics 365 empowers manufacturers to adapt and grow. It helps you engage customers, empower employees, optimize operations, and reinvent products and business models. Whether you’re just starting to retrofit with IoT or you have already digitized your operations, Dynamics 365 helps you accelerate your digital transformation to meet the changing needs of your customers and capture the new business opportunities of tomorrow.